Aviation Updates Philippines - European aircraft manufacturer, Airbus SAS has launched its new Airbus A350 version, the Airbus A350-900ULR (Ultra-Long Range) variant. 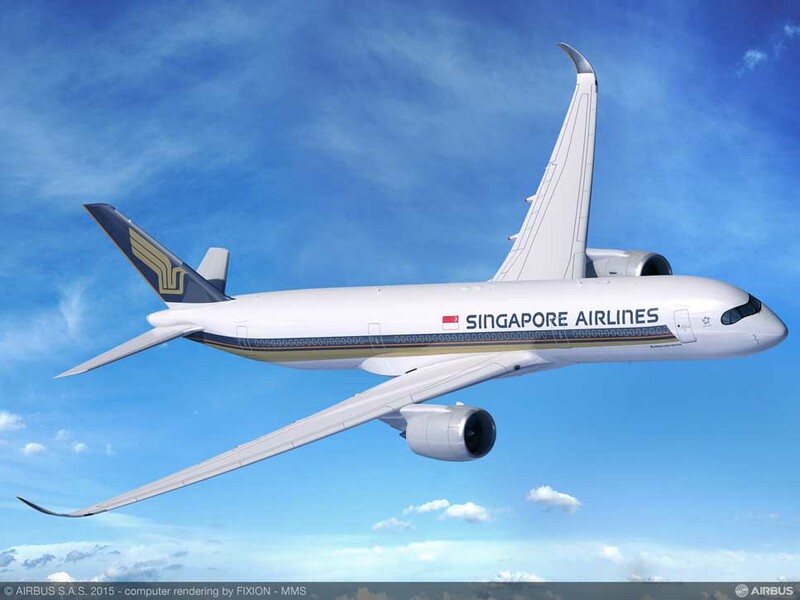 Singapore Airlines is the launch customer of the said aircraft to expand its flights to the United States of America. The Airbus A350-900ULR has been designed to operate long-haul flights. The aircraft can fly up to 8,700 nautical miles. The A350 "will ‎include a modified fuel system to increase the fuel carrying capacity, an increase in Maximum Take-Off Weight, plus aerodynamic improvements, enabling service to the US West Coast, as well as to New York," Airbus said in a press release. “Our customers have been asking us to re-start non-stop Singapore-US flights and we are pleased that Airbus was able to offer the right aircraft to do so in a commercially viable manner,” Singapore Airlines CEO, Goh Choon Phong said. Recently operated by Singapore Airlines, the Singapore to New York run flies for 19 hours using the Airbus A340-541 until its retirement. The Airbus A350-900ULR is the direct competitor of the Boeing 777-200LR (long-range) which is capable of flying until 9,395 nautical miles. According to Airbus, the new ultra-long haul variant can be transitioned into a standard Airbus A350-900 if the airline wishes to. So far, there are 783 firm orders of all of the Airbus A350 variants from 41 customers all over the world. Currently, Singapore Airlines is the largest customer of the A350 in East Asia with 67 orders to be delivered in 2016. The A350-900ULR incorporates a number of necessary changes over the standard A350-900. These include a higher capacity fuel system within the existing fuel tanks, increasing fuel carrying capacity from 141,000 liters to 165,000 liters. The A350-900ULR has an MTOW of 280 tonnes. The extended range capability is achieved without installation of additional fuel tanks and the aircraft can be reconfigured easily to the standard A350-900 long haul specification. Singapore Airlines previously operated non-stop services from its home base to New York and Los Angeles between 2004 and 2013 using the A340-500.